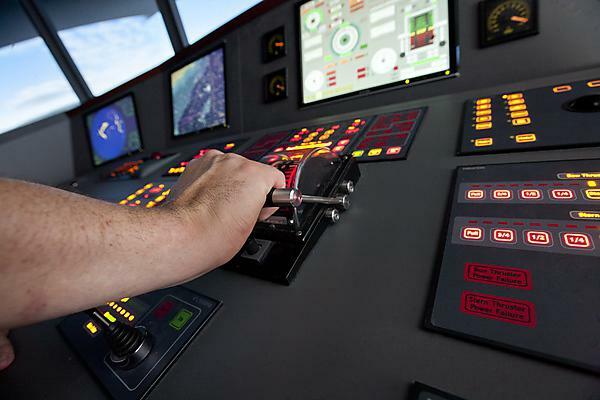 Our navigation and maritime science courses are accredited by the Maritime Coastguard Agency (MCA) and the Merchant Navy Training Board (MNTB). Opt to follow the accredited pathway and you could take charge of a navigational watch on merchant vessels or superyachts. In addition to studying for the BSc (Hons) or FdSc, you could gain Certificates of Competency (CoC) which will enable you to work as an Officer of the Watch (OOW). To achieve a Certificate of Competency, you will follow an approved programme of training, which includes sea time on board an appropriate vessel type (usually a minimum of 12 months sea time is required). You will have opportunities during your studies to go to sea and achieve the required sea time. If you choose to study an accredited or non-accredited pathway you will follow the same programmes of study. If you choose the accredited pathway there are higher thresholds to be achieved in modules and some assessments (for example, navigation). If you do not achieve the higher thresholds you will automatically transfer on to the non-accredited pathway, but you will still carry on to complete the degree. This certificate would allow you to work as an OOW on any commercial vessel, irrespective of size (additional requirements may be necessary on some specialist vessels). You would normally need sponsorship from a shipping company, or an MCA recognised training provider to achieve an unlimited certificate, due to the fact that the sea time requirement must be carried out on board merchant vessels. Students must also complete a MNTB training record book. This certificate would allow you to serve as an OOW on superyachts up to 3000 gt (gross tonnes in weight), An unlimited certificate is required on superyachts above this size. Students on this route do not need to be sponsored and normally gain their sea time by working on board superyachts during the summer holidays, and/or during year three. Students must also complete a MCA training record book for yachts up-to 3000gt. Students following accredited pathways to gain professional sea going qualifications will require a number of professional courses in order to complete these programmes. These courses are not required for students following the non-accredited pathway. Professional courses are international statutory requirements for any person working at sea in a professional capacity, and are a requirement under the International Maritime Organisations (IMO) Standards of Training, Certification and Watchkeeping Convention 78/95 (as amended), known as STCW95. Although these courses are scheduled within our programme, they are provided by external training providers. The cost of these courses is not included in the University programme fees and must be covered by the student or sponsoring company. *Requirements may vary depending on certificate of competency required. Persons wishing to work at sea in a professional capacity must be able to comply with specific medical standards. This is achieved through attaining an ENG1 medical certificate (or equivalent), issued by approved MCA medical practitioners. Persons unable to achieve the required level may be restricted from working at sea.